Rodenborn launched his artistic career as an underground graffiti artist in his hometown of San Jose, CA in the mid eighties. 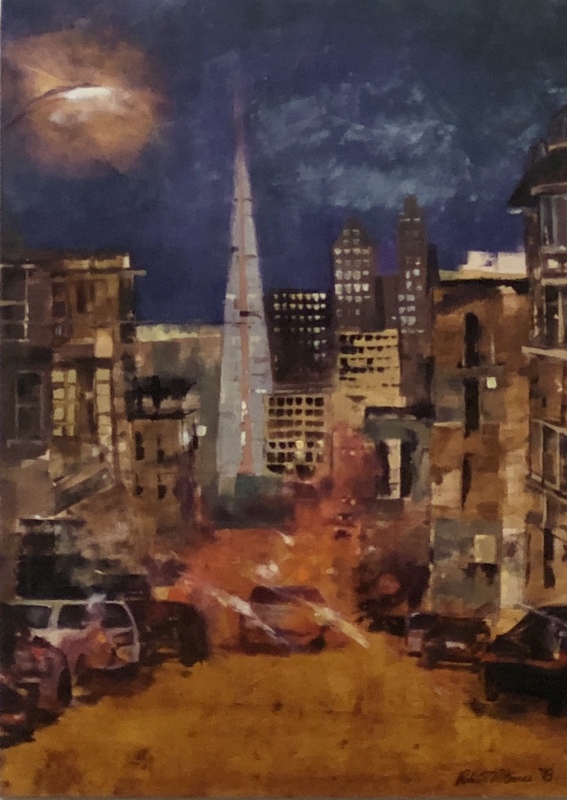 Since moving to San Francisco twenty years ago, he has added acrylic, pencil, photography, found objects and sound to his tool box. This exhibition includes assemblage art and works that manipulate light and texture using acrylic dowels. The movement and subtlety of these pieces is impossible to capture by photograph. Their changing perspectives can only be seen with the naked eye. Pulido was born in Mexico and raised in San Francisco’s Mission district. He was active in the street art scene at a young age and studied at the San Francisco Art Institute where he gravitated to film, video and installation art. This exhibit explores time and place using photographs digitally enlarged—one mural-size—with Pulido’s poetic sensibility.